Everything about ghost followers | How to get rid of them! Did this ever occur to you? 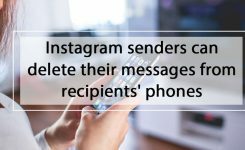 You spend a lot of time creating the perfect Instagram post (an excellent quality picture with a superb caption) and share it on Instagram, but you don’t get the like and engagement you expected for. This is a total disappointment, especially when you have a lot of followers. You’ll start wondering what is going on? If you have been there, then probably you are having issues with ghost followers. What is a ghost follower? An Instagram ghost follower is a follower who doesn’t do any activities, an inactive Instagram user that follows you. But how do you define inactive? Actually, these accounts follow you, but they never engage with you actively, this means they never like your posts, or they never leave you any comments. Just like a ghost! What harms do ghost followers have for you? There are a lot of celebrities or influencer who purchase followers just to make themselves look better and more popular! Therefore they have a lot of ghost followers. 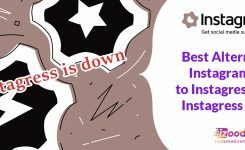 But for Instagram marketers, not only high follower numbers, but engagements are essential too. For example, if you are an influencer, you should have a lot of followers, but they should be engaging with you. Cause the engagement rate is the key to attract advertisers to you. So you much have good, engaging followers to make money from. There are some tools to buy likes and comments too. But that’s not an honest way to make money from Instagram, right? If you have 1000 follower and you receive an average 100 engagements per post ( 90 likes per post and ten comments). So your average engagement rate is 10% per post. But maybe someone has 10000 followers and receives 100 engagements per post. The engagement rate of this account is 1% per post! So this account may be a ghost follower victim! So ghost followers can be harmful if your engagement rate is important to you. Should I care about ghost followers bringing down my engagement rate? The Instagram algorithm uses engagement rates to compose the posts to appear in reverse chronological order. So contents display in chronological order, but Instagram also incorporates your interests in this process too. 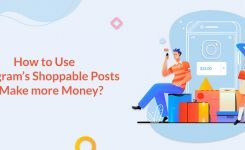 Therefore, if a post has a high engagement rate, Instagram will assume that it is more engaging and will even show it higher up the timelines. So if you don’t get rid of these sneaky useless followers, your engagement rate will remain low, and Instagram will prioritize other accounts posts over yours, so your likes and comments will get lower and lower. If you want to stop this negative loop, you should do something about them. How to identify ghost followers? If you haven’t bought fake followers, don’t blame yourself for this. These ghost followers might be your real followers who got sick of Instagram and don’t use it anymore. They haven’t posted anything during the last 30 to 60 days. Username is freaky or filled with nonsense numbers! Just see if your followers have complete personal information or not! When was the last time they were online? This way you will find out if a specific follower is an asset or a liability. 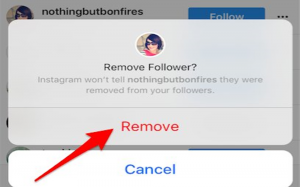 If you have a few followers, you can do it by yourself and remove them from your followers with the new Instagram feature or block them. But if you have massive followers, you can use one of Instagram cleaner app available. How to remove ghost followers by myself? Instagram has recently added a feature that you can throw out your followers without blocking them. Check your followers and find the ghost ones! Tap on the symbol with three vertical dots on the right side of the ghost’s name. You will then receive a choice to remove him/her from your followers. They are no longer your followers!